A triangle cone candy box to fill with treats and treasures for kids and adults alike! 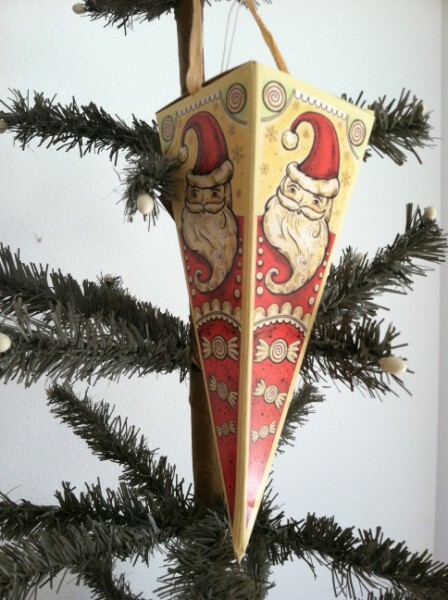 It is designed by Johanna Parker, with a sweet Santa face, and is approx 8" long and 2.75" square at the top. It is a wee gift that can hang from your tree!